Shikamaru, Naruto, the entire Samurai guard, and the Lightning Daimyo, Barakamaru (and his cabinet), all stood inside of a conference room. The introductions had all been made, and now it was time to discuss defenses. The head of the Samurai division placed a map on the table and pointed out where all his men would be placed. Shikamaru agreed with the formation, and then began, "Good. Additionally, I'm going to place one of Naruto's shadow clones with the North, East, and South outer-wall guards. Once we start allowing the public into the courtyard, I'm going to place myself at the entrance with the screening guards to help with that process. Naruto," Shikamaru said, turning to look at his fellow Konoha-nin, "I want you to create enough shadow clones so that each of them has a little more chakra than an average human, and then use that difference to use henge jutsu and disguise every one of your clones, including yourself, as a civilian. You'll mix in with the rest of the crowd and will be able to observe any odd behavior without getting noticed. If a clone spots something, he will have to move to a secure location to disperse himself and relay the information to you. Once that happens, you can communicate to the rest of us via your com device." With that, the Nara showed his com device, the same one everyone in the defense battalion had, and made everyone go onto the same channel. "When your clones get to the screening guards and myself, have them wink with their right eye while clenching both fists. That will be the signal to let you through, and also a potential trap to catch anyone who picks up on the code and accidentally winks with their left eye or doesn't clench both their hands in a fist." Putting his com device into his ear, Shikamaru would then continue, "When everyone's been let in and we've reached max capacity, I'll return to the inside of the castle and disguise myself as a samurai guard. I will be replacing one of the guards that were positioned right next to the Daimyo during his speech. This way I'll be able to prevent any direct attacks while also keeping an eye on the blind spot of all Naruto's clones. 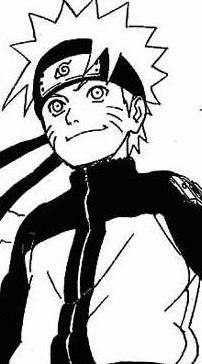 Naruto, it'll be up to you to watch out for and stop any potential ranged attacks." 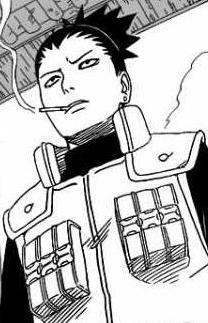 Taking a break to catch his breath, Shikamaru would then raise 1 finger up, "That leaves us with one free guard. 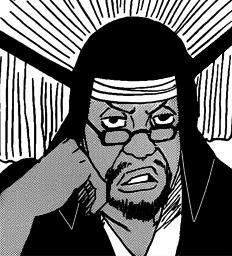 He will be disguised as a shinobi with an outfit that's the same color as the roof tiles. Consequentially, he will be placed on one of the rooftops and watch over the crowd while trying to remain hidden. The chances of a regular civilian spotting him are extremely slim, therefore if anyone catches someone looking right up at the disguised guard, that person must be apprehended and removed immediately. Any questions? Make sure you're 100% clear on everything, and play out today's course of events in your minds over and over, trying to include all possible scenarios you can think of." With that, Shikamaru turned to face the Daimyo. He bowed his head and said, "We will do our very best to insure your safety, Lord of the Lightning." Following suit, all the Samurai guards punched a fist into their palm and bowed. 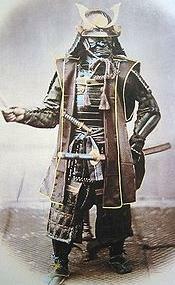 The captain of the Samurai added, "Even if it means sacrificing our life, we will not allow any harm to come to you." "Thank you all. I must begin preparing now." the Daimyo said to everyone, and then turned and left the room, his cabinat following closely behind. Naruto stood alongside his teammate Shikamaru, standing tall, confident and with his hands on his hips, happy that Lady Tsunade had assigned him on such a high class mission and that he would be working with Shikamaru once again. She was finally started to recognize him as the power house of a shinobi he was. Naruto watched as the head samurai placed a map onto the center table and gave out the locations his guards would be stationed at. Once he was done, Naturo didnt say a word, obviously letting Shikamaru come up with the plan he probably came up with on his way here. After Shikamaru explained Naruto's part of the plan, Naruto began scratching his head as he mumbled to himself "Same chakra level as an average human.... hehe thats a lot of clones." Once Shikamaru mentioned his com device, Naruto pulled his out and put it somewhere in his head guard so that it would be difficult for any outsider or enemy to see. He continued listing to the Nara as he tried keeping all the information in. Once his speech was over and Shikamaru told everyone to go over every possible situation, the damios canet members watched Naruto with unease as he stood by himself winking his right eye and clenched his fists while mumbling to himself "Wink with right eye, both fists clenched, wink with right eye, both fists clenched." Meanwhile he was also trying to run possible scenarios of attack enemies would take, thus it looked like he was struggling very hard. His face was blushing and it looked like a vein was going to pop in his neck as he rehearsed and visualized at the same time.